The PokerStars and Full Tilt Poker deal is still on track, although there are some details that need to be ironed out. 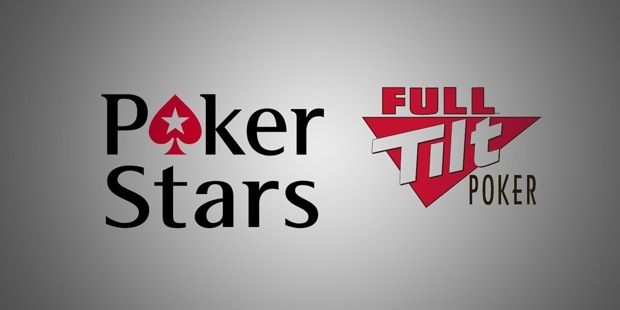 We’re two weeks out from when news originally broke about PokerStars acquiring Full Tilt Poker. While no officially announcement has come from either PokerStars or Full Tilt regarding the progress of the deal (or its existence in general), we’ve spoken to numerous well-placed sources who confirmed that–as of this weekend–the deal is still taking place as originally reported. As with most complicated contracts, the devil is in the details. And this acquisition is more complicated than most. Here’s the latest on what we’re hearing…and for those who are not Insider subscribers and only care about one thing, yes, U.S. players will still be getting paid back as part of the deal. While the original PokerFuse report that the acquisition total nut of $750M was accurate, the overall pricetag has crept up closer to the billion dollar level. Currently sources say the figure sits around $900M. Why the increase? Because the U.S. Department of Justice feels like it can get more, and is flexing its muscles knowing that neither PokerStars nor Full Tilt can do much about it. There has been some conflicting information as to whether or not PokerStars founder Isai Scheinberg would have to step down from running the company as part of the agreement. We believe based on information we’re hearing that this point–be it via implementing a timeline/transition plan or simply agreeing to out-right step down– may be part of the hold-up in announcing the deal. However, Scheinberg’s legal team is adamant that when the deal is finalized, Isai will not sign anything admitting wrong-doing. We imagine that is some difficult wording to craft, and there would be a lot of back-and-forth between legal counsels to get that right. As has been reported, the DoJ will not oppose PokerStars’ re-entry into the U.S. However, that does not ensure that they will eventually be licensed in a regulated environment. That will be up to the eventual licensing body (either at the State or Federal level). Expect Caesars, MGM, and other bricks & mortars to put up every conceivable roadblock to at least delay Stars and Tilt’s eventual re-entry. We’ve also heard from a number of individuals that the speed of the deal’s completion is coming more so from the Full Tilt management side. We don’t know specifics, but given Ray Bitar and Co’s track record, we’re not surprised. At the end of the day, we expect Full Tilt management to realize they are out of options and sign whatever is presented to them. So the broad-based terms have all been agreed upon, and the deal is “done” from that perspective as has been reported. But there is still some tricky legal language that needs to be crafted before any official announcements are made. As for the time-table for when the public will hear anything–we don’t expect anything official this week.